Ilham Tohti. Photo taken a week before his detention by Woeser. On 15 January 2014, Chinese authorities arrested Ilham Tohti, a Uighur economics professor at the prestigious Minzu University in Beijing. Today, February 16, marks the 32nd day of his detention. His family has yet to receive any legal document detailing his whereabouts or the charges against him. For years, Tohti has discussed and commented on not only Chinese policies in the Xinjiang Uighur Autonomous Region, where the vast majority of this Turkic Muslim population lives, but also the state of Han-Uighur relations. He founded the Chinese-language website 维吾尔在线 (Uighurs Online), which is meant to facilitate communication and understanding between the two peoples. Today, China Change launches an “Ilham Tohti” button on its homepage. A group of concerned scholars and experts will collect, post, and update information regarding Professor Tohti in an effort to raise awareness of his detention and press for his release. We have created a ‘Free Ilham Campaign’ Twitter account. Please consider following @FreeIlham, including our Twitter handle, and using the hashtag #FreeIlham when you post news, comments, or links about Ilham Tohti. Amnesty International is a global movement of more than 3 million supporters, members and activists in over 150 countries and territories who campaign to end grave abuses of human rights. Our vision is for every person to enjoy all the rights enshrined in the Universal Declaration of Human Rights and other international human rights standards. Chinese Human Rights Defenders (CHRD) is a network of Chinese and international activists promoting human rights and empowering rights defenders in China. A non-governmental organization, CHRD provides logistical support and capacity building services to human rights advocates, monitors human rights developments, and assists victims of human rights abuses. CHRD advocates the peaceful realization of human rights protection through democratization and rule of law reform. We are scientists, physicians, engineers and scholars dedicated to protecting the human rights and scientific freedom of colleagues around the world. The Human Rights Foundation (HRF) is a nonpartisan nonprofit organization that promotes and protects human rights globally, with a focus on closed societies. HRF unites people in the common cause of defending human rights and promoting liberal democracy. Our mission is to ensure that freedom is both preserved and promoted around the world. Freedom House is an independent watchdog organization dedicated to the expansion of freedom around the world. Freedom House speaks out against the main threats to democracy and empowers citizens to exercise their fundamental rights. We analyze the challenges to freedom; advocate for greater political and civil liberties; and support frontline activists to defend human rights and promote democratic change. Founded in 1941, Freedom House was the first American organization to champion the advancement of freedom globally. Front Line Defenders is the International Foundation for the Protection of Human Rights Defenders. Front Line Defenders was founded in Dublin in 2001 with the specific aim of protecting human rights defenders at risk, people who work, non-violently, for any or all of the rights enshrined in the Universal Declaration of Human Rights (UDHR). Front Line Defenders addresses the protection needs identified by defenders themselves. Global Voices Advocacy is a Project of Global Voices Online. We are a Global Network of bloggers and online activists dedicated to protecting freedom of expression and free access to information online. We report on threats to online speech, share tactics for defending the work and words of netizens, and support efforts to improve Internet policy and practice worldwide. PEN International celebrates literature and promotes freedom of expression. Founded in 1921, our global community of writers now numbers more than 20,000 and spans more than 100 countries. Our programmes, campaigns, events and publications aim to connect writers and readers wherever they are in the world. Reporters Without Borders was founded in Montpellier (France) in 1985 by four journalists. Registered as a non-profit organisation in France since 1995, it soon took on an international dimension. Reporters Without Borders organised its team of researchers by geographical area. The organization also gradually developed two essential and highly specialised spheres of activity: one focused on Internet Censorship and the New Media, and the other devoted to providing material, financial and psychological assistance to journalists assigned to dangerous areas. WHERE HAS ILHAM TOHTI BEEN HELD SINCE 15 JANUARY? Around the world today, scholars are attacked because of their words, their ideas and their place in society. Those seeking power and control work to limit access to information and new ideas by targeting scholars, restricting academic freedom and repressing research, publication, teaching and learning. The Scholars at Risk Network responds to these attacks. Scholars at Risk (SAR) is an international network of higher education institutions dedicated to protecting threatened scholars, preventing attacks on higher education communities and promoting academic freedom worldwide. UN Watch is a non-governmental organization based in Geneva whose mandate is to monitor the performance of the United Nations by the yardstick of its own charter. The Uyghur Human rights Project (UHRP) was founded by the Uyghur American Association (UAA) in 2004 with a supporting grant from the National Endowment for Democracy (NED). UHRP’s mission is to promote human rights and democracy for the Uyghur people, and to raise awareness of human rights abuses that occur in East Turkestan, referred to by the Chinese authorities since 1955 as the Xinjiang Uyghur Autonomous Region (XUAR). Non-violent and peaceful movement that rejects authoritarianism, religious intolerance, and terrorism as instruments of policy. Founded in 2004, the World Uyghur Congress represents the interests of the Uyghur people worldwide. Rebiya Kadeer is the current president of the organization. Change.org is the world’s largest petition platform, empowering people everywhere to create the change they want to see. This Chinese-language autobiographical essay describes his family background, academic interests, and perspectives on Uyghur-Han relations as well as Chinese government policies. 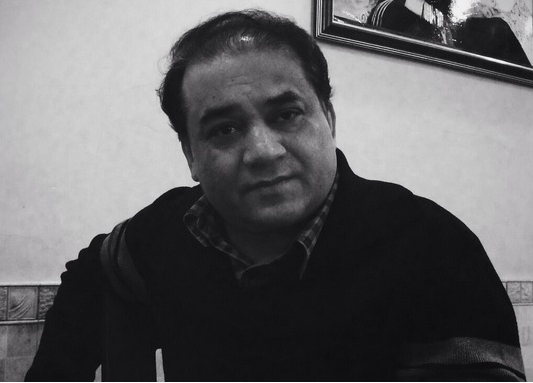 Outspoken Uyghur scholar Ilham Tohti gave a lengthy statement by phone to RFA’s Uyghur Service reporter Mihray Abdilim before he was detained by Chinese authorities on Jan. 15 from his Beijing home. He had requested that the statement be made public if he were taken into custody, not heard from afterward, and accused of various charges by the authorities without any right of reply. When he made the statement on July 24, 2013, he was also concerned that he would be tortured and forced to make a confession or even face the prospect of death while in custody. Tohti, who is a professor at the Central University for Nationalities in Beijing and runs the Uyghur Online website, has spoken out for greater autonomy for the Xinjiang Uyghur Autonomous Region (XUAR) in China’s far northwest. RFA has published an abridged version of his statement.